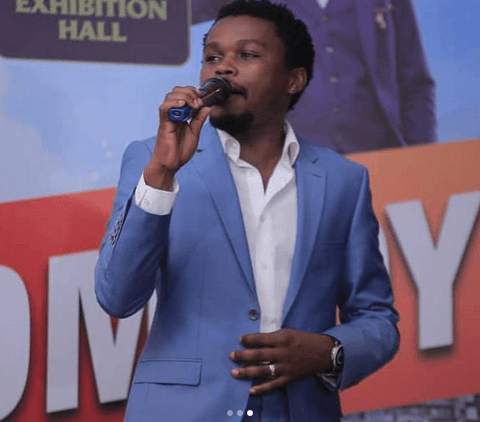 Vincent Muasya who is commonly known by the stage name Chipukeezy is a well known comedian who has taken Kenyan comedy to a greater height. 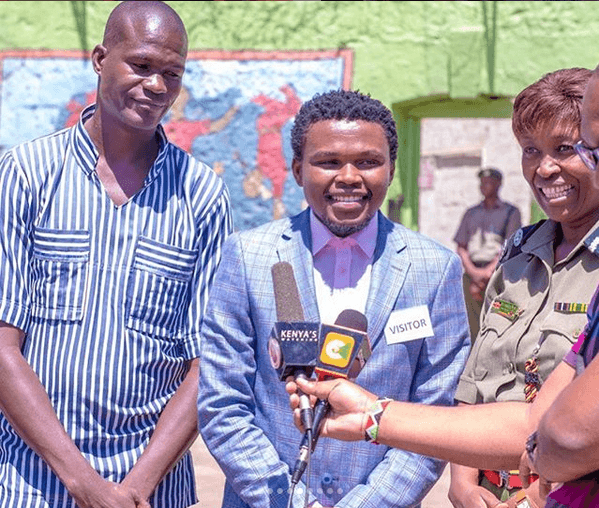 He is the First comedian to be appointed director of the National Agency for the Campaign against Drug Abuse (NACADA) and since the appointment, he has been doing his work well. One of his responsibilities is to fight against drug abuse among the youths and people of different age groups and gender and that is why when you see him visit places like Prisons or rehabilitation centers, then you have an idea of what his speech is going to contain. 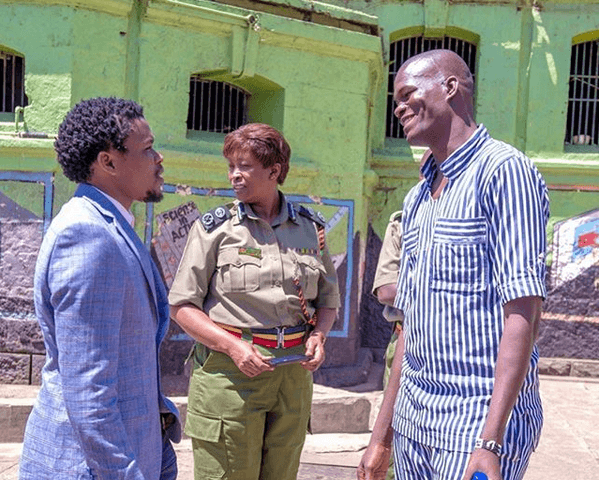 The Ebru Tv Show host was yesterday invited as a guest of honor in the Industrial Area Prisons talents day where he shared moments with the inmates. He was joined by the Deputy Commander Prison s,Nairobi region Madam Wairimu. 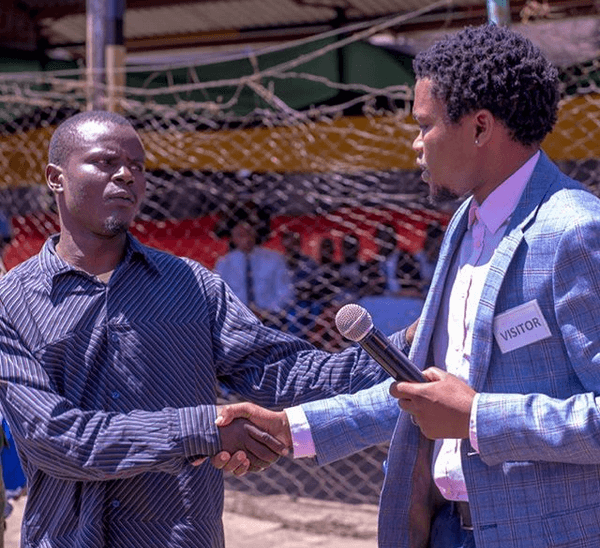 Barack Odero who is an inmate stole the show with his mastery of playing the piano and Ohangla that would see him bailed out by the comedian. He was arrested and charged for assault because he had a fight with a friend. Said Chipukeezy. 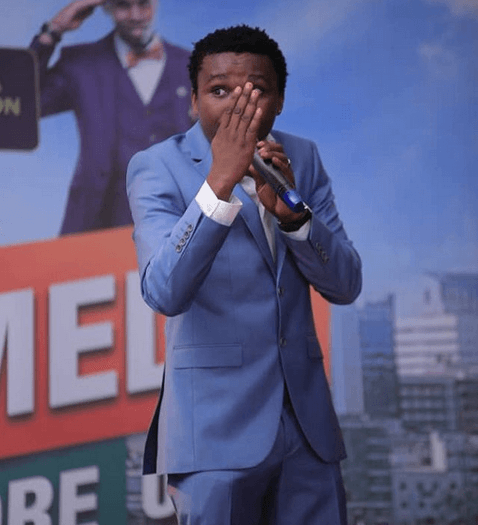 Chipukeezy bailed Barrack out and him together with other comedians like Eric Omondi and Jalang’o have decided that they will sponsor him to record two of his favorite songs. Yesterday, in the Spirit of rehabilitation I visited the Remand prison at industrial Area to spend sometime with inmates at the correctional facility. During my Visit I managed to meet and talk with some amazing young Kenyans who are currently taking time to reflect on their lives as they await court dates. One In mate caught my attention. Barack Odero Oluoch is not only a talented Ohangla musician but also a very energetic, creative and ambitious young man. He is in for an assault, he was involved in a fight with a friend. We spoke at length and he told me his dream has always been to be a musician. He has learnt a lot while in prison and I would love to give him a chance. I will pay his bail money and I have together with @jalangoo and @ericomondi decided to sponsor two of his favorite songs. Record the Audios and Videos. Vera Celebrates Her Ex Being In Jail?